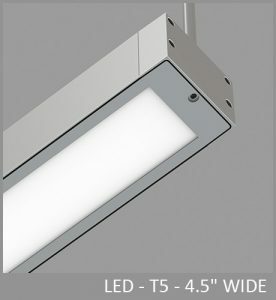 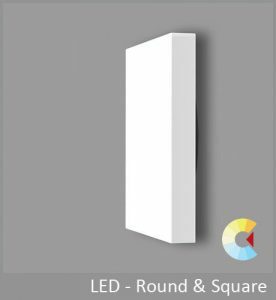 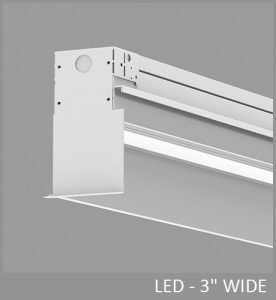 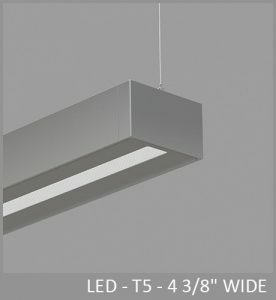 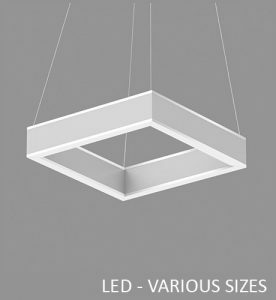 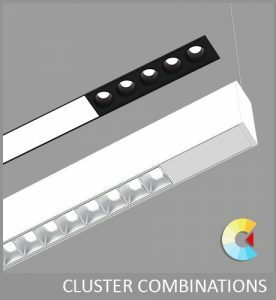 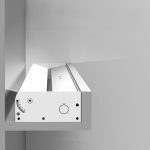 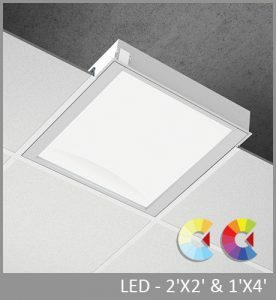 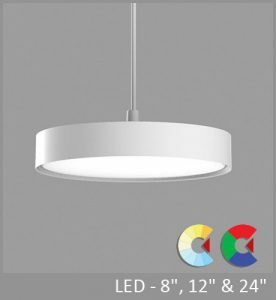 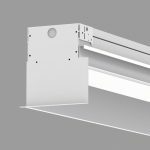 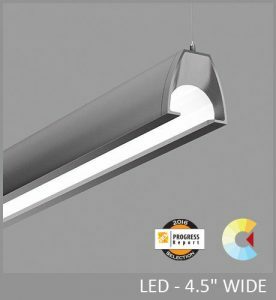 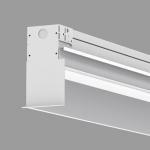 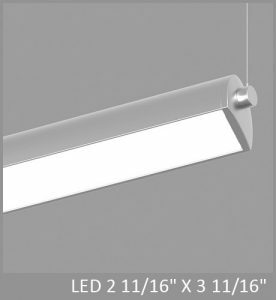 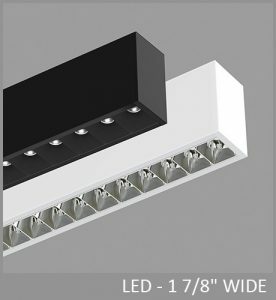 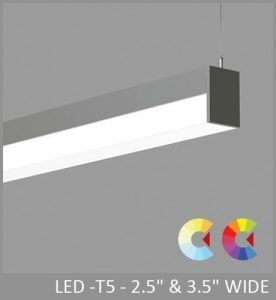 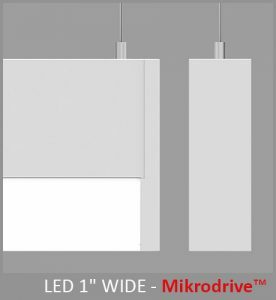 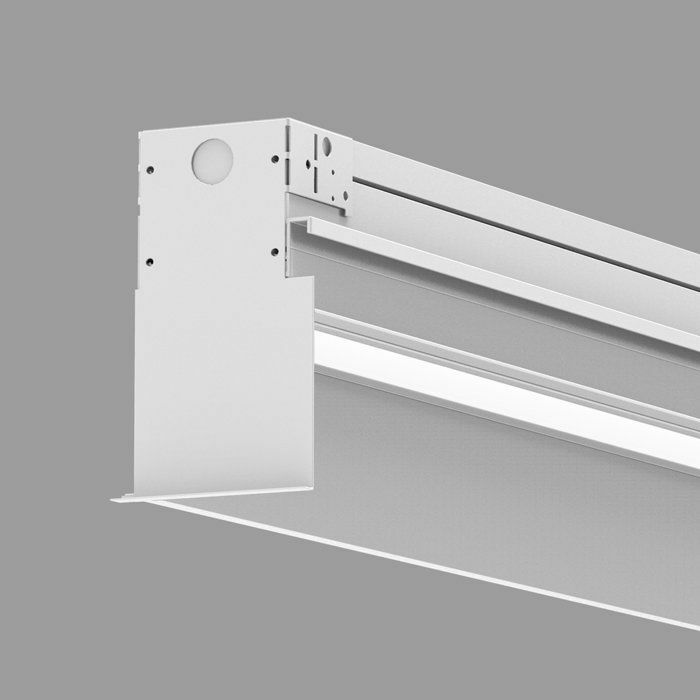 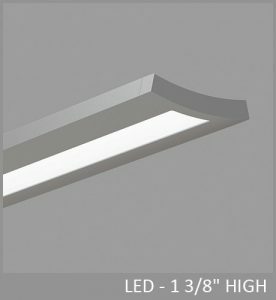 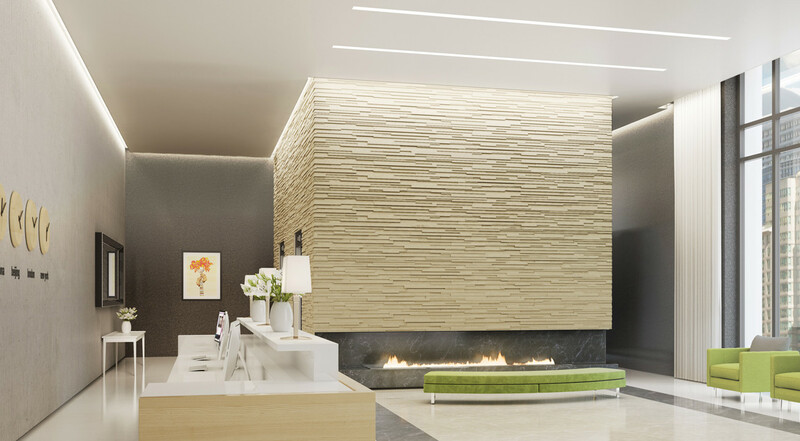 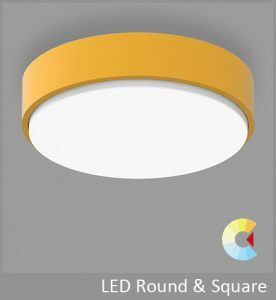 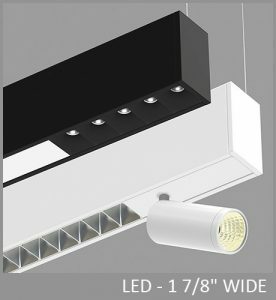 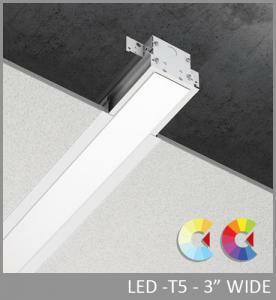 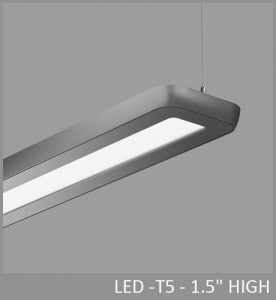 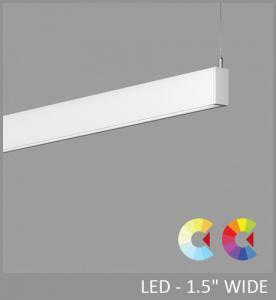 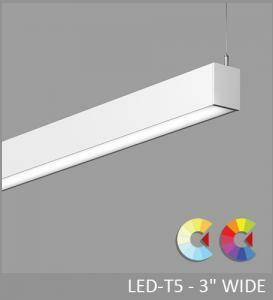 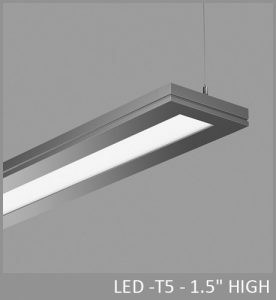 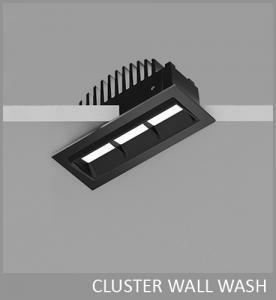 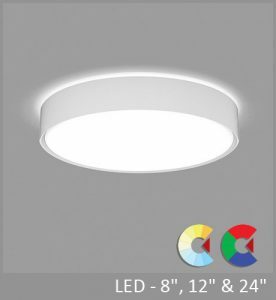 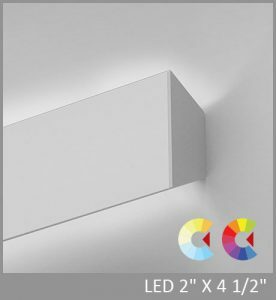 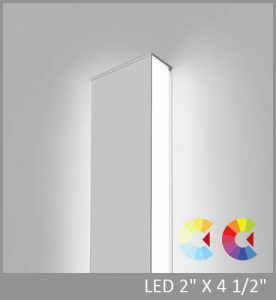 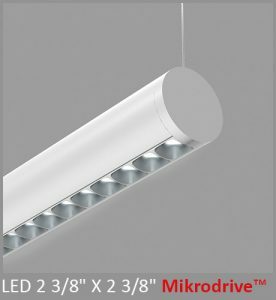 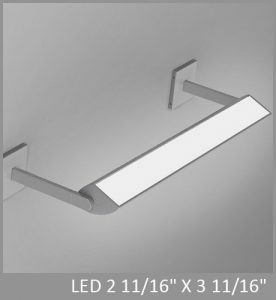 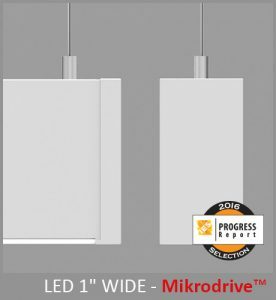 Via Skim is designed to illuminate textured or polished vertical surfaces with a grazing light from the wall/ceiling intersection. 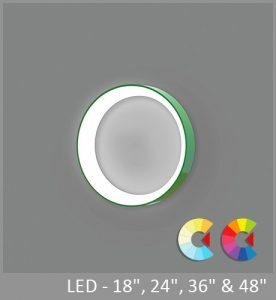 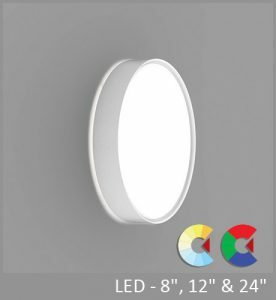 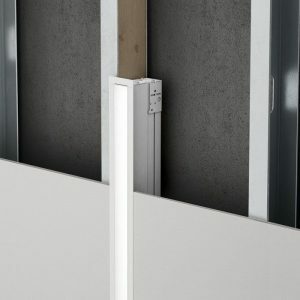 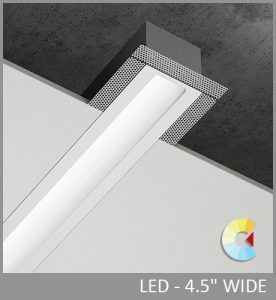 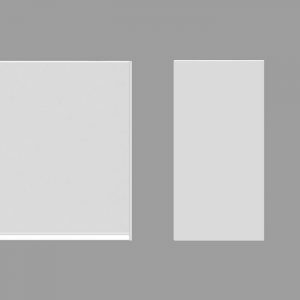 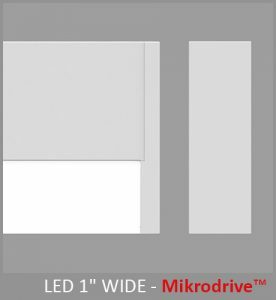 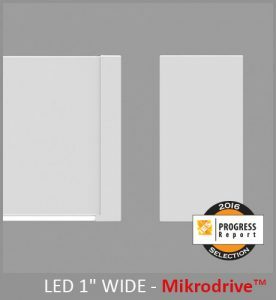 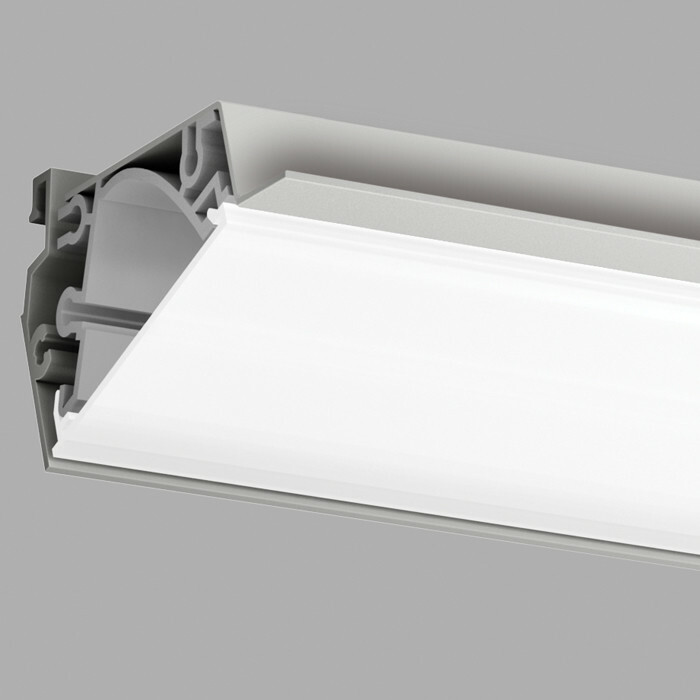 Via Skim provides continuous illumination across the wall surface. 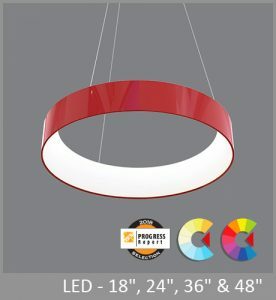 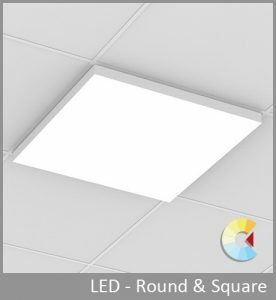 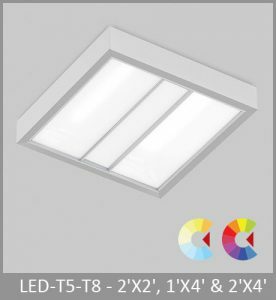 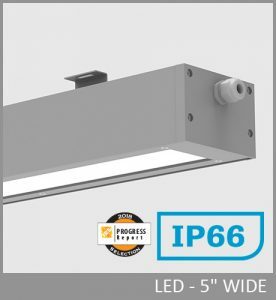 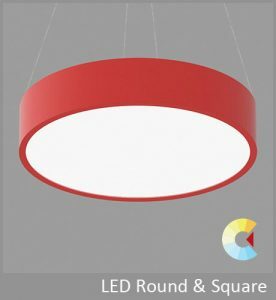 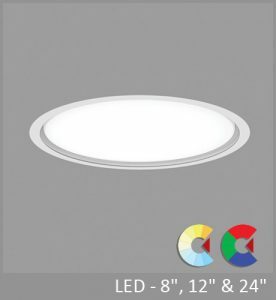 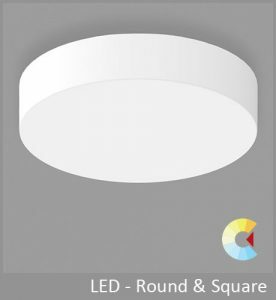 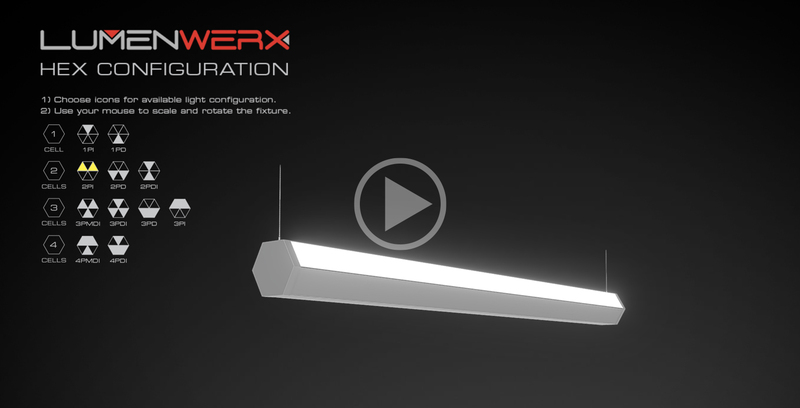 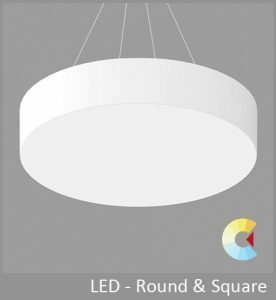 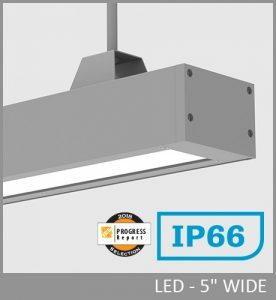 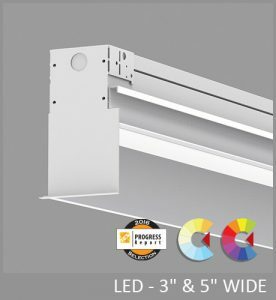 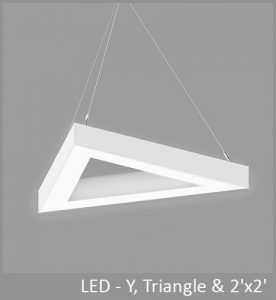 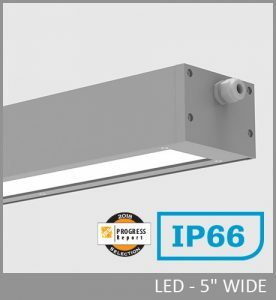 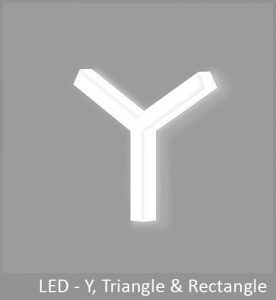 The intense light distribution is achieved with our Grazing Reflector Optic (GRO) oriented to project light with maximum luminous intensity at 5º from nadir. 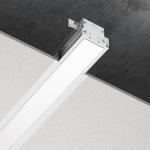 The Via Skim is available with two depth options: shallow and deep. 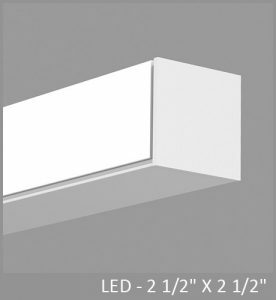 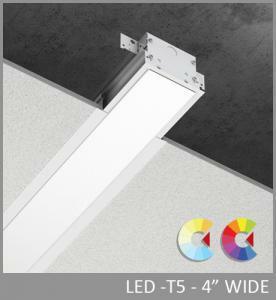 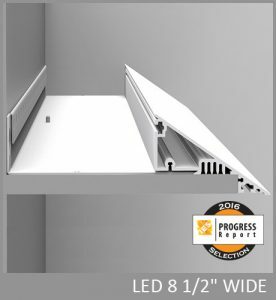 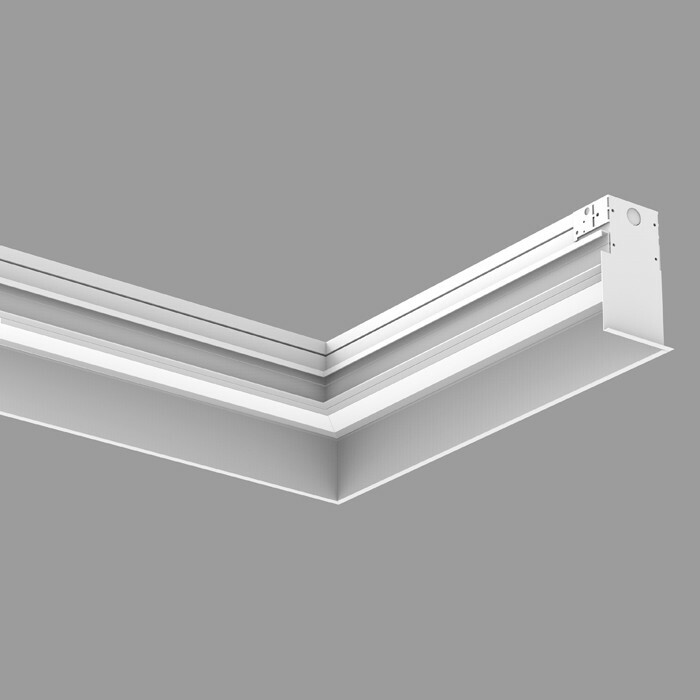 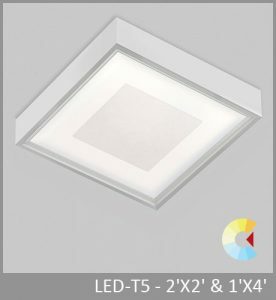 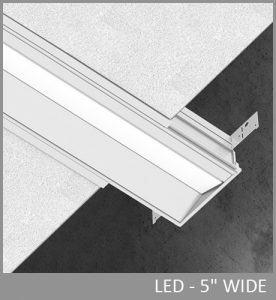 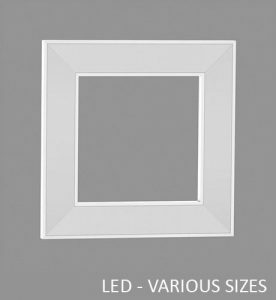 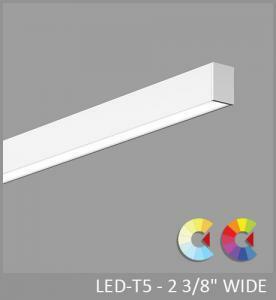 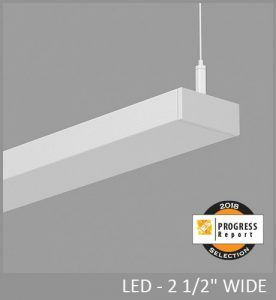 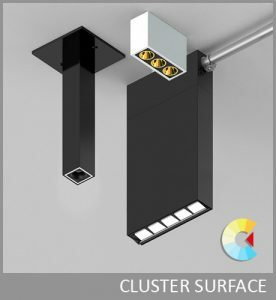 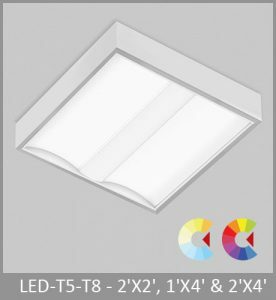 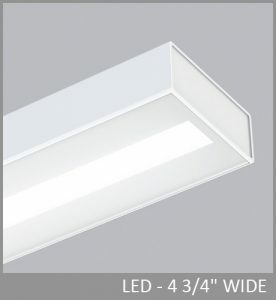 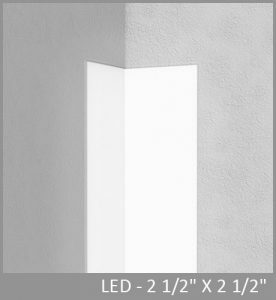 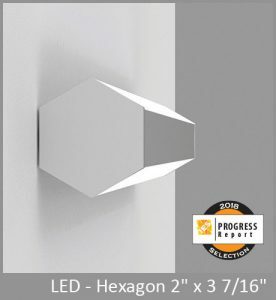 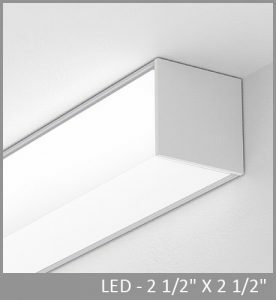 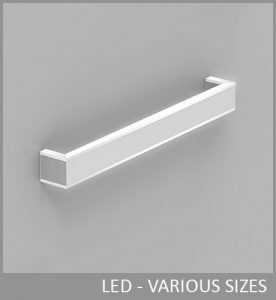 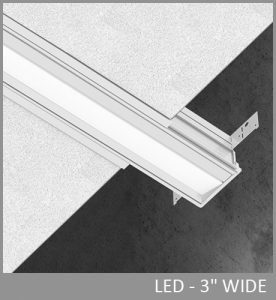 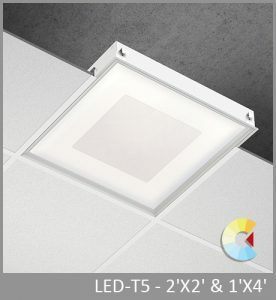 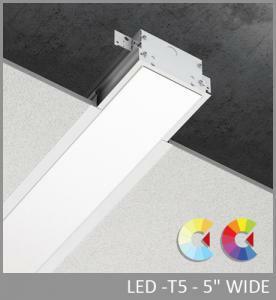 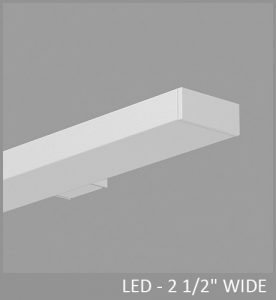 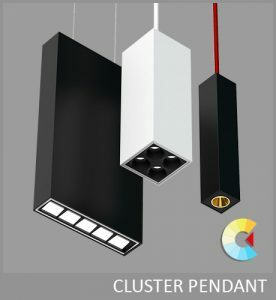 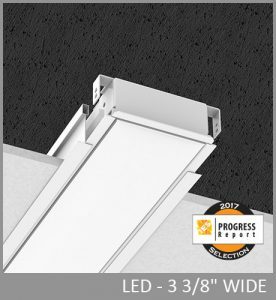 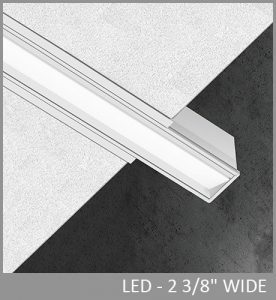 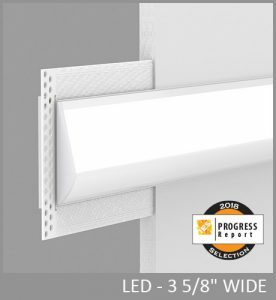 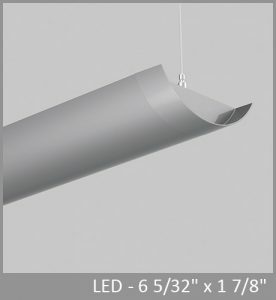 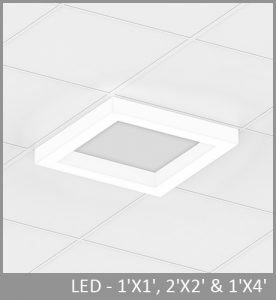 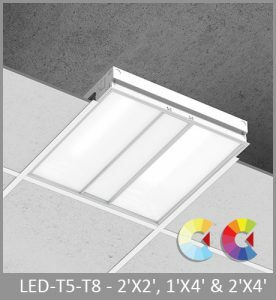 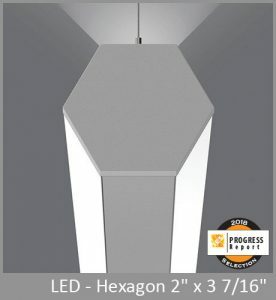 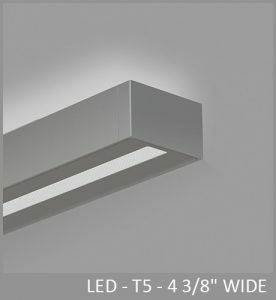 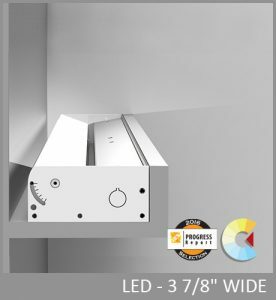 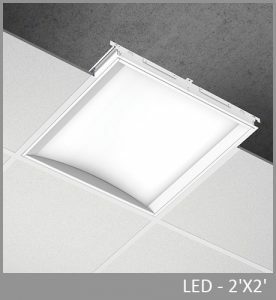 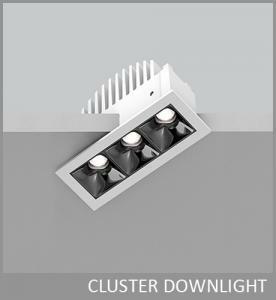 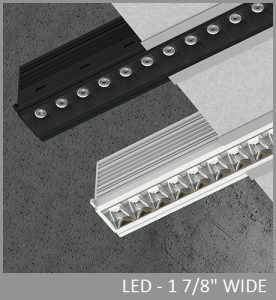 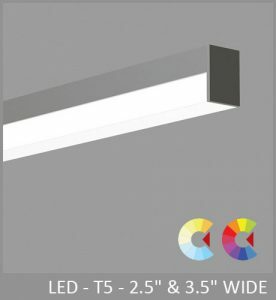 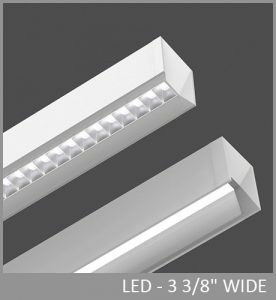 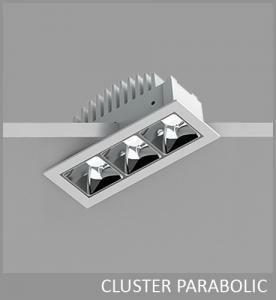 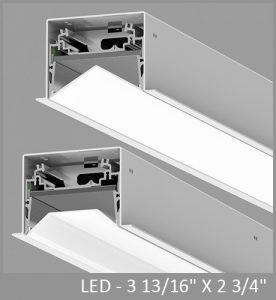 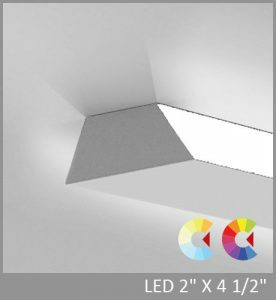 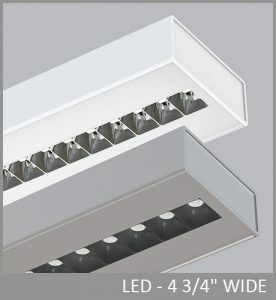 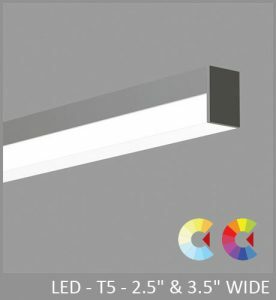 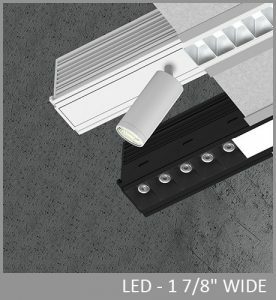 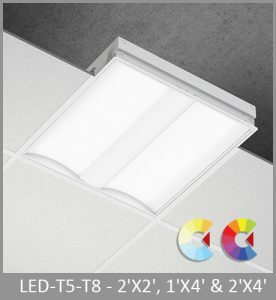 Total recessed depth ranges from 4¾" to 7". Via Skim is not recommended to illuminate drywall surface applications. 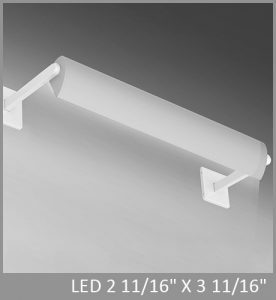 SIZE: 3 5/8" x 4 3/4" - 3 5/8" x 7"
GRAZING REFLECTOR OPTIC (GRO) - The intense light distribution is achieved with our Grazing Reflector Optic oriented to project light with maximum luminous intensity at 5º from nadir.